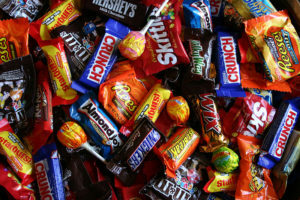 Halloween Candy: A trick or treat? Children’s favorite holiday is just around the corner, and it’s not surprising why! Candy, candy candy! Don’t let this holiday stress you out. 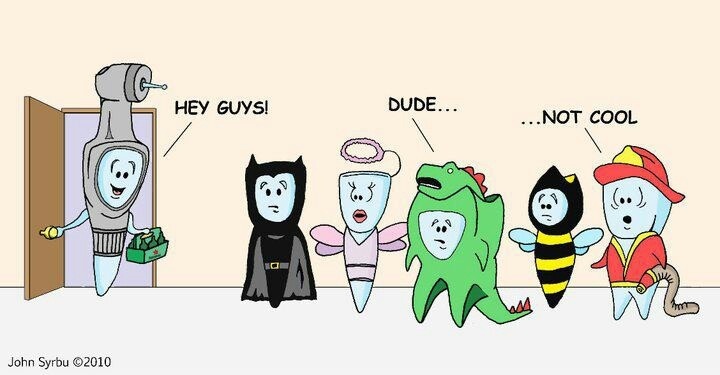 Here are a few tips on how to keep their teeth healthy and cavity free during Halloween this year. After your night of fun collecting candy, sort through the bag with your child and let them choose 5 of their favorite items to keep and find your local food bank to donate the rest. Most cities offer these donations to great causes like for our troops abroad. The best type of sweet treat to keep around is chocolate. 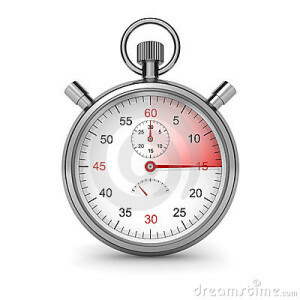 Hard to believe, we know, but here’s why: time is of the essence when it comes to teeth and sugar. 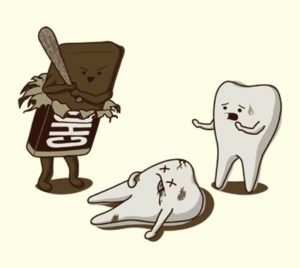 Chewy treats and hard candy are particularly damaging because they spend a prolonged amount of time stuck to teeth. These candies are also more difficult for teeth to chew, which is not good for their enamel. Sweets like chocolate that quickly dissolve in the mouth and can be eaten easily lessen the amount of time sugar stays in contact with teeth. But remember, too much of any thing isn’t good, so try and limit this too. Allow your children to eat their favorite candies right after a meal instead of a random time during the day. Right after eating, saliva production is at its peak and can help cancel out acids produced by bacteria in your mouth. Saliva also helps rinse away food that can stick to your teeth and cause cavities. Let water be your friend! 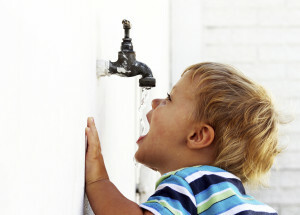 After your children munch on a few of their goodies, give them lots of water. It’s the second best thing you can do for their teeth if they don’t have time to brush. Water helps cleanse their teeth and prevents sugar from staying on their teeth, which can lead to cavities. What are healthy snacks for kids teeth? diary on Why should I take my child to the dentist? Ashwini Kulkarni on What? Cough syrup can lead to cavities? Chandu Naidu on Why should I take my child to the dentist? Zarina Rasheed on Why should I take my child to the dentist?